A member of the Great-West Family of Companies,1 which has been providing financial services since 1891, Empower Retirement is the retirement services division of our U.S. organization, which also provides insurance, annuities, asset management and advisory services. Through our subsidiaries, we offer specialized, focused expertise to address the evolving needs of our clients. Great-West Financial®and Empower Retirement are brands that represent products and services for both Great-West Life & Annuity Insurance Company and Great-West Life & Annuity Insurance Company of New York. 1 The Great-West Family of Companies refers to products and services offered through The Great-West Life Assurance Company, London Life Insurance Company, The Canada Life Assurance Company, Irish Life Group Limited, Great-West Life & Annuity Insurance Company, Putnam Investments, LLC, and their affiliates and subsidiary companies. 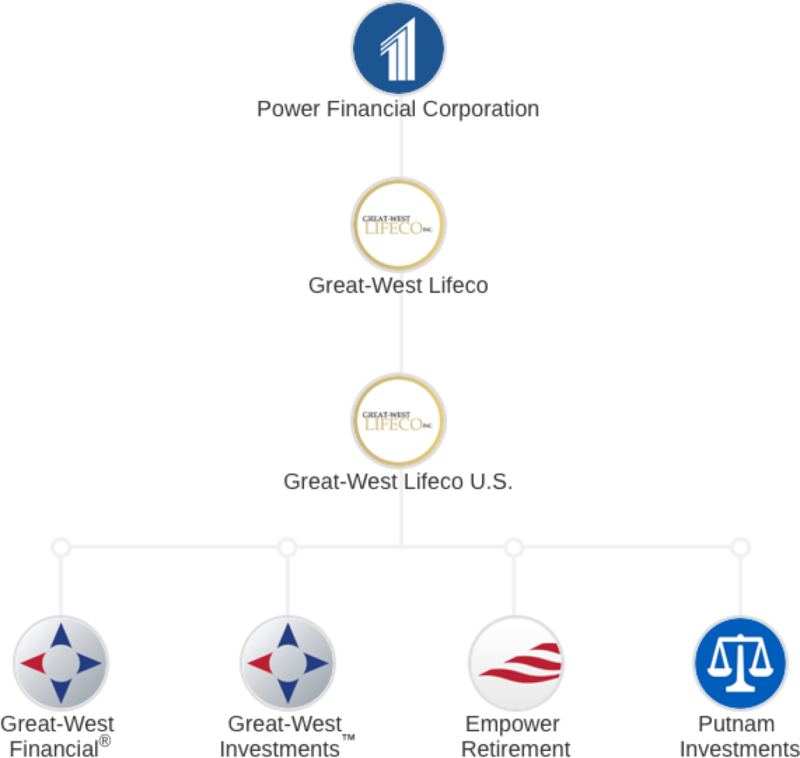 2 Power Financial Corporation has a controlling interest in Great-West Lifeco Inc.
FOR ILLUSTRATIVE PURPOSES ONLY. GWL&A is an indirect, wholly owned subsidiary of Great-West Lifeco Inc. (Lifeco). Power Financial Corporation holds a controlling interest in Lifeco. Lifeco and Power Financial Corporation do not guarantee products or services of GWL&A or its subsidiaries. Putnam is the mark of Putnam Investments, LLC, an affiliate of GWL&A.